Lady and the Blog → Contest → Start Working On Your Summer Tan Today With Suave Visible Glow PLUS A GIVEAWAY!! Start Working On Your Summer Tan Today With Suave Visible Glow PLUS A GIVEAWAY!! Hooked. Hooked. And hooked! Now that I am in my 30s, sunbathing is just not an option. I’ve learned one too many things about the sun I cannot ignore. If I go to the beach, you will find me under an umbrella or with LOTS of sunblock on for SURE. But I still love a good tan. 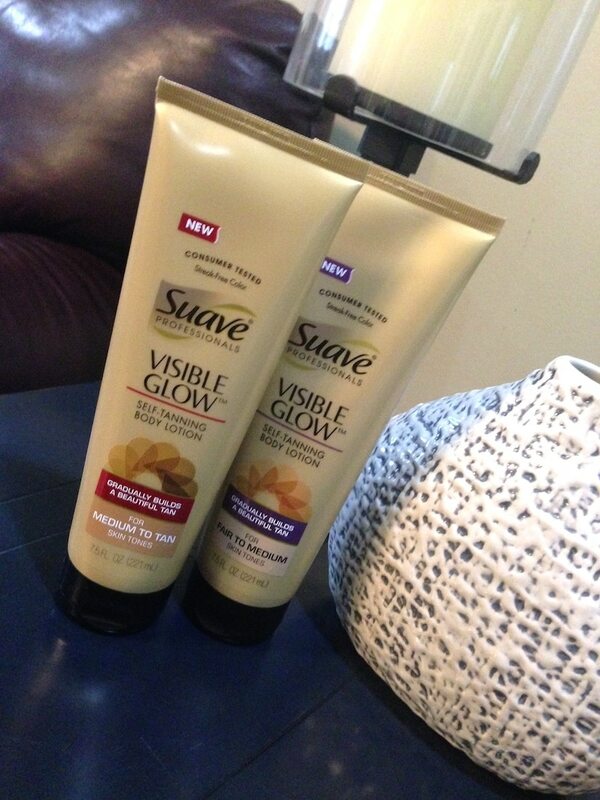 Suave® Professionals Visible Glow™ Self-Tanning Body Lotion is my new solution! I keep a bottle in the bathroom and apply the lotion twice a day. I actually keep it on my sink because then I remember to do it. I’ve also been traveling quite a bit and bought a second bottle to add to my travel accessories bag. Yes, I have a bag of beauty goodies that is an exact replica of everything I use on a day-to-day basis. Dry shampoo, concealer, deodorant, moisturizer – you name it and I have a double in my travel bag. Suave® ProfessionalsVisible Glow™ has officially been added to that mix. Friends have been complimenting me as well! And once they hear how easy it is to start working on their summer tan, they start their very own routine. Love it! In 2014, you can’t ignore all the negative effects sunbathing has on your skin. Why take the risk?! I use Fair to Medium because I am very light skinned. After two weeks, it didn’t turn me orange or leave any streaks. 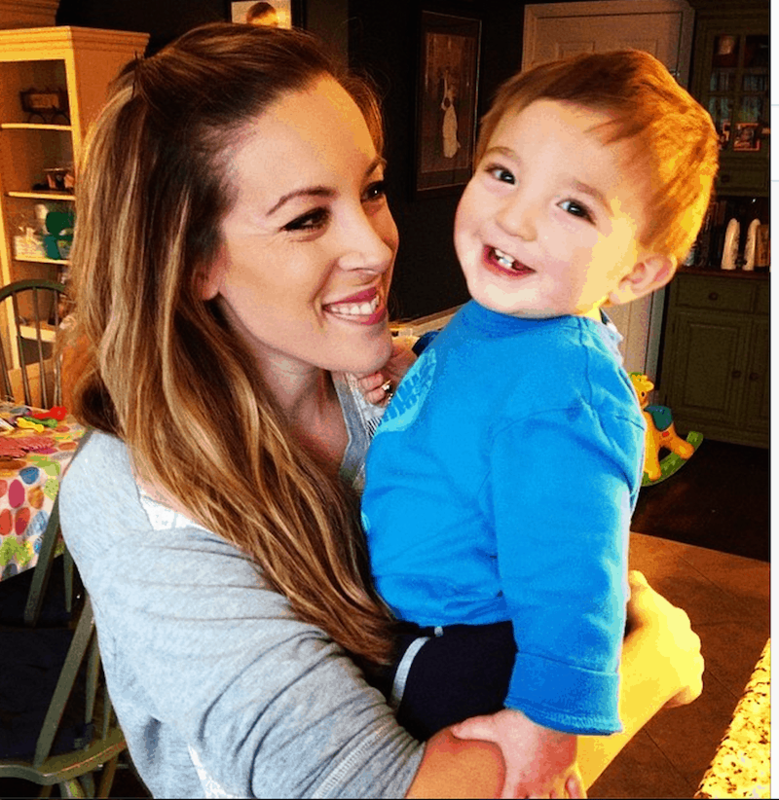 It was a clean, even darker tone and I was so happy with the glowing results! Guess What?! I Have A Contest Of My Own!! I usually use an instant tanner and always get streaks! Thanks for the review! I’m embarrassed to admit I love a good tan, but usually only get one by being in the sun with no sunblock. Shame on me! Self tanners always smell so bad, but I’ve heard good things about this Suave one, so I’m thinking of giving it a try! I love being tan. It makes me feel so much more attractive. I however get this tan by being out in the sun without sunscreen around a swimming pool. Not very healthy! I generally burn when I try to tan. I usually use sunless tanner. I’ve never had the tan I wanted. 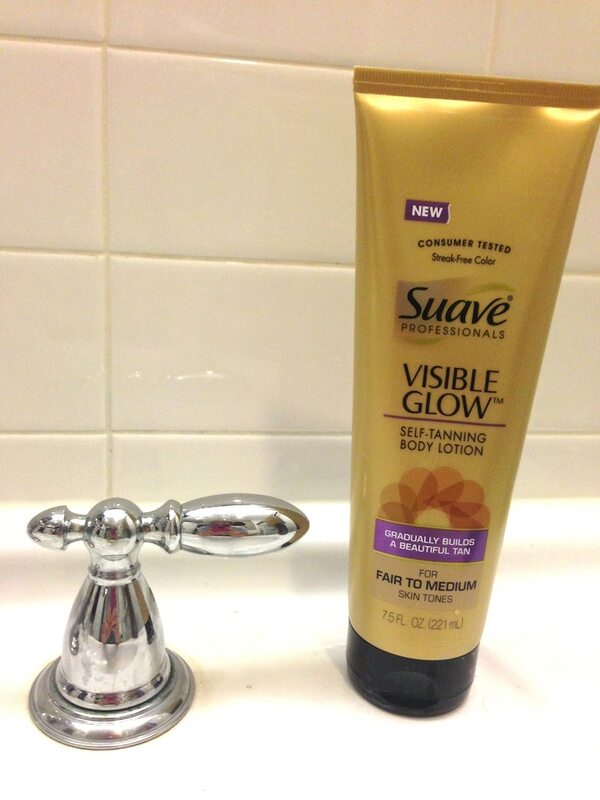 I would love to try Suave Visible Glow. I love the look of a tan, but I don’t often have one because of UV exposure. I use sunscreen regularly. I like to be tan because it highlights my eyes and makes me look healthier. I do like when I’m tan because I feel my clothing looks better. I haven’t had time to lay out in the sun to tan with having to chase my kids around. So a tan in a can is my best bet! i love being tan. self tan! i like being tan i usually get tan from sitting by the pool. I love being tan because it makes me look thinner! I’ve started using tanning lotion on my legs to be capri and gym ready! I love having a tan. I usually get mine from working in the yard. I am as white as they come & I would love to try this Suave self-tanner:) I usually just stay out of the sun since I usually burn easy..thanks. I love being tan. I usually burn to death, then tan. I am half Irish and really white lol. I like to tan, but I an totally anti-tanning bed. That’s why I love this type of product…perfect! I use sunless tan products because real tans are too damaging for the skin. I would love to be tan, but I’ve been too afraid of the side effects… This looks like a great solution. Thanks for the chance to win! I like to gradually tan outside. I normally try to tan sunlessly to avoid sun damage to my skin. I do like to tan naturally on occassion like when I’m vacationing at the beach. I usually get a light tan during the summer but othewise I have that pasty look the rest of the year. I could definitely use this product. I do not try to tan anymore by sun or salon but I do like to use a self tanner. I usually do a nice mild shade. I’m African American so I don’t need to tan lol But this would be for my best friend. She loves being tan but does not tan easily at all. I love being tan but am avoiding it because of skin damage 🙁 I have started using sunscreen and self tanner. I love being tan, and I use to tan years ago in the tanning bed. I have laid off of it, I am in the midst of trying tons of new self tanners! I like to be tan because it makes my legs look better in dresses. However i’m fair complected so I don’t tan well and of course now I know that it isn’t safe to lay in the tanning bed. I absolutely love being tan. I feel way more confident about myself when I am. However I was going about getting tan the wrong way by going to tanning beds. Now I spend some time out in the sun and that is it. I typically use the Jergens flow stuff to get a little bit of a tan look on my arms and legs. Either that or just go out and do yard work. I try not to stay out in the sun too long though..for health reasons. Thanks for the opportunity to win..I’d love to try these Suave products. I would love to be tan but I burn instead. i like to be tan but i don’t do anything to get tan yet. i am tony l smoaks on rafflecopter. I do like being tan. I do like being tan, but don’t want wrinkles so I use self tanner. I am lucky that I was blessed with naturally dark skin so I don’t have the need to “sunbathe”, but it’s really nice to add an extra glow for special occasions !! I love being tan! I get my tan during the summer. I like being tan, but most of the time I am really white. Sometimes I use self-tanning lotions. I’m normally super pale but I love being tan. Thanks for the giveaway…a tan is part of living in desert southwest, but we still use sunscreen year-round !